You'll receive your welcome kit in the mail, along with your Internet equipment, when you're approved for Internet Essentials. Everything you need to get on the Internet, including instructions, are included. Before you start, make sure your Wireless Gateway is ready to be activated. It should be plugged in, connected to your computer, and turned on. 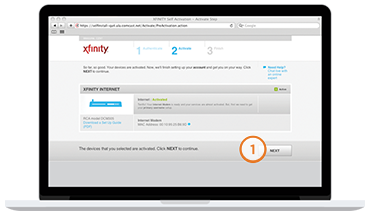 Open your Web browser, such as Internet Explorer, Google Chrome, or Firefox, and follow the steps below to activate your Internet service. 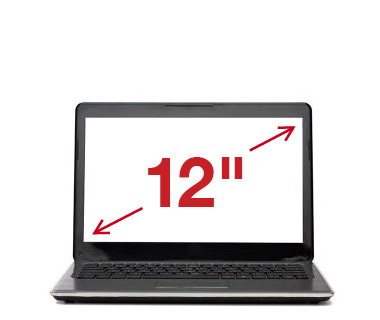 These steps will appear on your computer screen. Enter your account number (please see the Activation Information card included in your self-installation kit). Enter the telephone number you provided when you signed up for Internet Essentials. On the next screen click Next again. This will start loading your account information. You will be asked if you are ready to activate. A small window will appear. Click OK. Your Wireless Gateway will be activated. This may take up to 10 minutes. Your Wireless Gateway is now ready to be used. On the next screen, click Next once again. You will now set up a username and password. Select a security question and enter an answer. You will need to provide this answer if you need to reset your password in the future. NOTE Keep this information in a safe place. 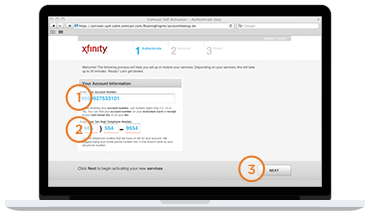 You need it to log into your XFINITY® email account online. 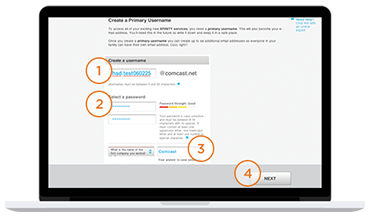 Your XFINITY email address is your username followed by: @comcast.net. Click Install to download the software. You will be asked to run or save the application. Click Run. When finished downloading, a screen message will ask “Do you want to run the software?” Click Run. Norton Security Online helps shield you – and your private information – from viruses, malware, and other online threats. 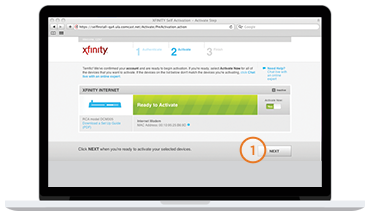 Norton Security Online is available to Xfinity Internet customers at no additional charge. 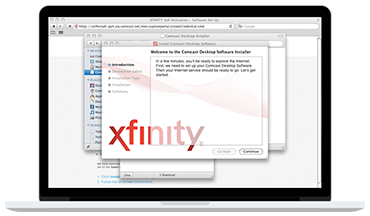 To learn more and download visit the Internet Security with Xfinity site. Optional feature can remember, secure and automatically enter your usernames and passwords. 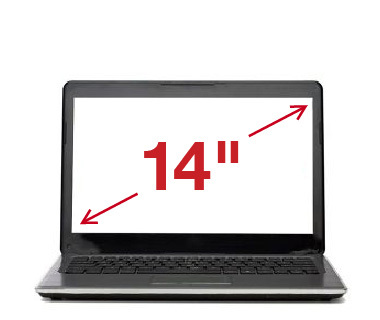 As an Internet Essentials customer, you have the option to purchase an Internet-ready computer for the reduced price of just $149.99 + tax. 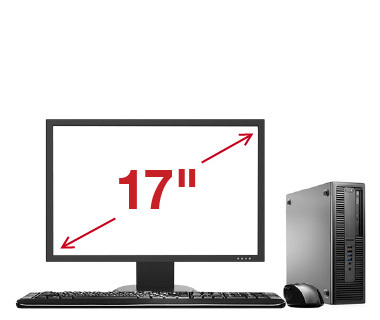 You may select your choice of a desktop or laptop computer. 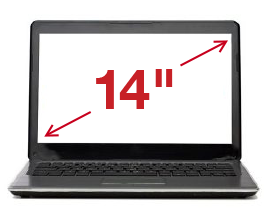 All computers come with the software and hardware needed to get connected to the Internet right away.